That's My Pan!® is thrilled to offer officially licensed, college cake pans & lids! We begin with our Traditional 9x13", heavy gauge, American made pan and lid. 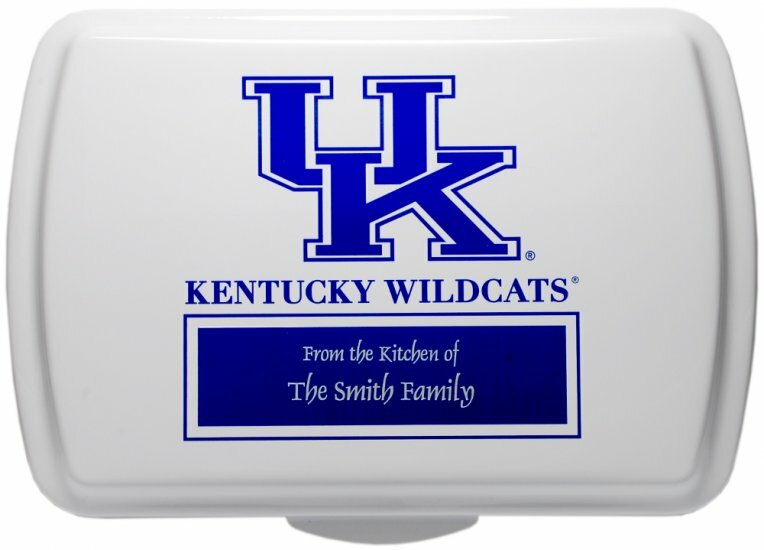 We then coat the lid on both sides with a gloss white coating and then apply the officially licensed College logos. Your choice of wording and personalization is then engraved into the personalized cooking pans and lids. You are going to be the hit of the next tailgate or game day party with these striking personalized cooking pans & lids. That's My Pan!® is the first and only licensed supplier of personalized collegiate designs for cake pans & lids. These are brand new!